Associate Professor Bhiksha Raj has been named to the 2017 class of IEEE fellows. LTI Associate Professor Bhiksha Raj has been named to the 2017 class of IEEE fellows for his "contributions to speech recognition," according to IEEE. Established more than a hundred years ago, the IEEE fellow grade is a distinction reserved for select IEEE members whose extraordinary accomplishments in any of the organization's fields of interest are deemed fitting of this grade elevation. The total number of fellows selected in any one year cannot exceed one-tenth of one percent of the total voting IEEE membership. 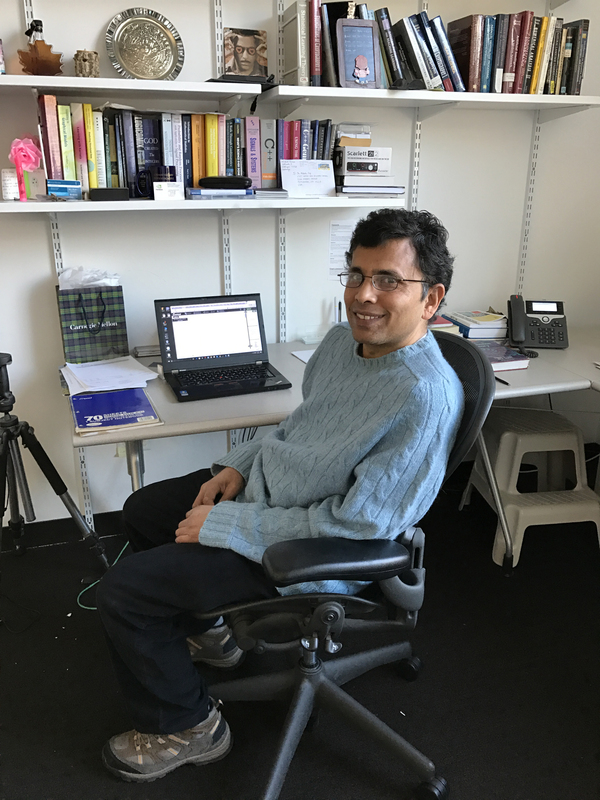 Raj, who earned his Ph.D. in electrical and computer engineering at Carnegie Mellon in 2000, has devoted his career to developing speech- and audio-processing technology. He has had several seminal contributions in the areas of robust speech recognition, audio analysis and signal enhancement, and has pioneered the area of privacy-preserving speech processing. He is also the chief architect of the popular Sphinx-4 speech-recognition system. Before earning his Ph.D. at CMU, Raj received a bachelor's degree from Osmania University and a master's degree from the Indian Institute of Technology — both in electronics and communications. He joined the Carnegie Mellon faculty in 2009, after spending time at the Compaq Cambridge Research Labs and Mitsubishi Electric Research Labs. In addition to his research, from 2009 to 2014 he also conducted an annual winter school for undergraduate students in India during the winter break. Raj is joined by two other Carnegie Mellon faculty members in the 2017 class of fellows: Associate Professor of Electrical and Computer Engineering Xin Li and Physics Professor Sara Majetich.